Bamboo Flooring — Is It Right for Your Home? Bamboo Flooring — Is It Right for Your Home? 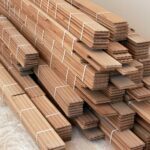 Bamboo Flooring — Is It Right for Your Home? 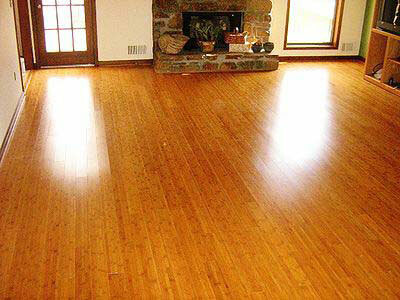 Bamboo flooring is a hard, stable, and reliable flooring material with a pleasingly exotic appearance. It has several unique qualities. For one, it has exceptional pliability that allows it to sustain blunt impacts without denting or bending—in this attribute it surpasses most hardwood materials. In addition to its superior elasticity, bamboo is surprisingly hard. It has a Janka rating of about 1800, which is considerably harder than that of white oak (1360) and maple (1450). Because bamboo grows in tropical regions, it has an organic resistance to water. But it does expand and contract with changes in its moisture content, and it can stain. If you’re going to use bamboo in a bathroom or a kitchen, it may be wise to apply an extra coat of polyurethane or wax following installation to ensure a permanently flush and stain-free surface. 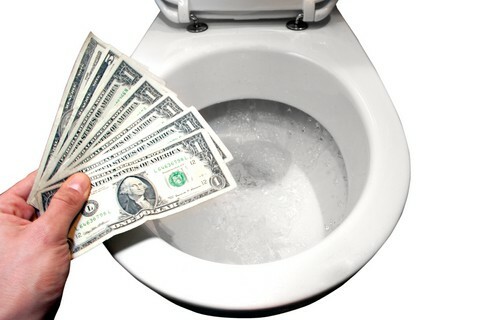 Check with the flooring manufacturer and/or your installer for the right products to use. 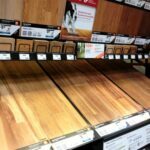 As with regular wood floors, bamboo flooring comes in solid and engineered tongue-and-groove strips and planks, which means there are bamboo options available for both plywood and concrete subfloors. Because of the thinness of the bamboo stalks, solid-bamboo flooring is actually composed of bamboo strips that have been laminated together. Engineered-bamboo flooring has a veneer of bamboo over layers of plywood. 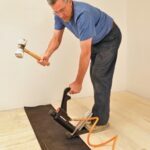 There are also “click-together” varieties that are assembled simply by snapping flooring pieces together, but be forewarned that these often do not bear as professional a look once they are installed. Although bamboo is naturally light in color, it can be darkened by steam and pressure in a process called carbonization. (Be aware that carbonization is said to soften bamboo by as much as 30 percent, resulting in a flooring product that may be less resilient.) Some manufacturers also offer a range of stained bamboo flooring, as well as hand-scraped options. While bamboo flooring is now widely available, not all bamboo is created equal. Low-cost bamboo is generally made from stalks that have yet to fully mature, which means the plant has not developed the density needed to make an acceptable floor and will easily mar and dent.